Industrial Packaging Corporation is a premier supplier of corrugated cartons, point of purchase displays and a variety of other corrugated products. Due to our tremendous amount of buying power and our almost 300,000 square feet of warehouse space, we have the capability of servicing any type of account large or small. Whatever your design requirements might be, Industrial Packaging Corporation has the capabilities and flexibility to meet your precise packaging needs. 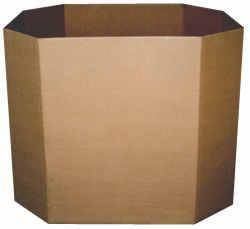 We can customize our corrugated containers to be designed and manufactured to your exact specifications. Size is also of no concern with Industrial Packaging Corporation as we have the ability to produce containers to almost any size required. 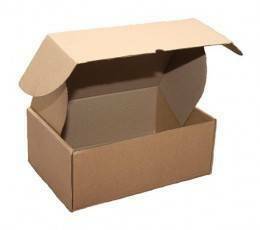 Regular Slotted Cartons (RSC’s) are a cost effective solution to shipping your product. We can make them to fit your product perfectly to help minimize shipping damage. Die cut boxes provide the customer the flexibility to design a custom-made box to their own personal specifications – typically resulting in a box that is stronger and that cuts down on added labor costs. 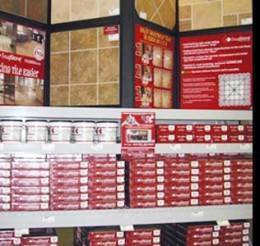 The most common die cut boxes are for the meat, and poultry businesses. Combo bins are oversized boxes that are constructed to support tremendous payloads, typically from 1,000 to 2,500 pounds depending on construction, and are for the meat, poultry, and agriculture industries. We can produce them in single wall, double wall or triple wall, and can even add reinforced sesame tapes for extra strength. When you’re trying to make a statement or trying to separate yourself from the rest, you should look no further than lithographic packaging. Build your brand image through your packaging by utilizing high graphic display cartons, standees, power-wings, end-aisle displays, or counter displays. Up to 7 colors with high gloss finishes to cement your place in the retail market.